Since I love peanut butter (who doesn't), I wanted to create a healthier version of the chocolate chip peanut butter cookie I grew up with. These cookies get their peanut butter flavour from the protein powder and the PB2. If you've never used PB2 its a great snack and baking tool for peanut butter addicts. PB2 is made of roasted peanuts that have been pressed of their oil and have been ground up. You can add PB2 to recipes as you would flour, or you can add water or greek yogurt to it to make a lower fat and calorie peanut butter substitute. 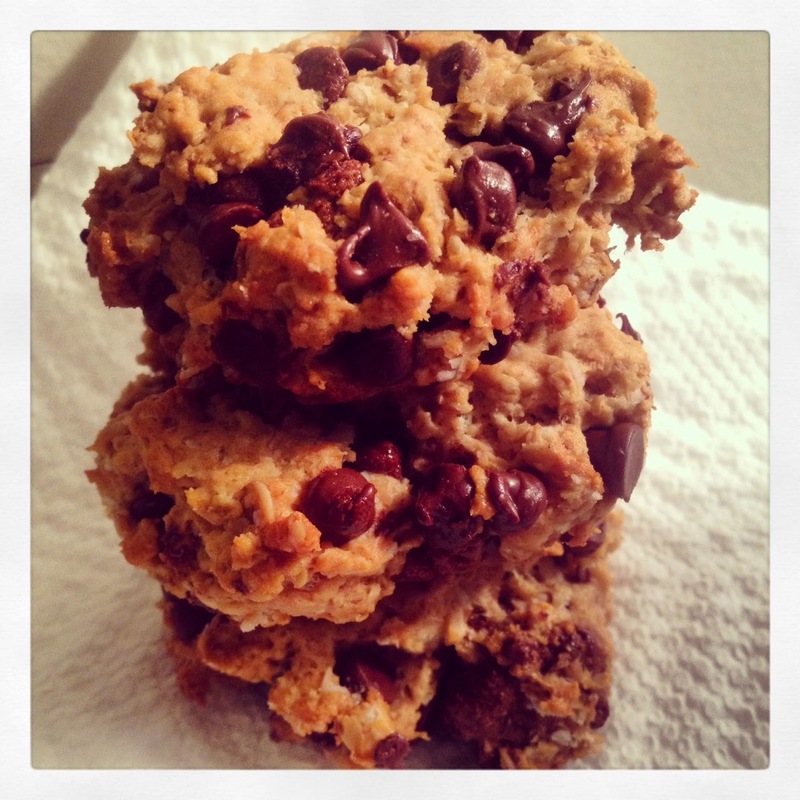 These cookies are tasty and full of protein and fibre! 3. In a small bowl stir PB2 and 1 Tbsp water until it comes together like the consistency of peanut butter. Add 1 more Tbsp of water if needed. 4. Stir in vanilla, egg, egg white, and honey. 5. Gently stir in dark chocolate chips. You should get 18 cookies. 7. Bake for 10 minutes, or until slightly browned. Let cool and enjoy!